American musician, singer, songwriter, actress and producer, born March 16, 1954 in San Francisco, California, USA. 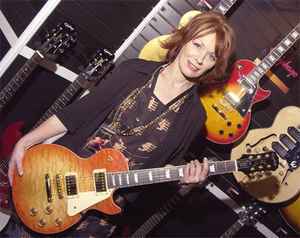 Nancy Wilson joined her sister Ann to form rock group Heart in the 70's. She has recorded solo LP's and formed in the 90's, always with her sister, a more pop oriented group called The Lovemongers. She was married to film director Cameron Crowe (divorced).